My name is Tandava, and I’ve been on the spiritual path as a disciple of Paramhansa Yogananda since 2009. 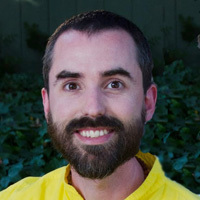 I am currently a monk living in the Ananda Palo Alto spiritual community. I’ve been a musician and a teacher for most of my life, and currently teach meditation, yoga, philosophy, music, and more. You can also visit my personal blog, read some of my poetry, or subscribe to my YouTube channel. My understanding of the spiritual path in general, and of the spiritual uses of music in particular, comes from my guru, Paramhansa Yogananda, and from Swami Kriyananda and all the many Ananda teachers who have helped—and continue to help!—me on my way. 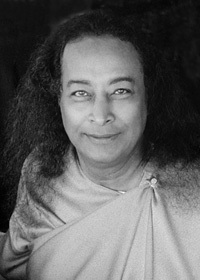 Best known as the author of the spiritual classic Autobiography of a Yogi, Paramhansa Yogananda was the first Indian guru to make his home in America. His mission to the world was to teach people of all faiths how to have a direct, personal relationship with God, and how to realize their own Divine potential through the science of yoga and meditation. 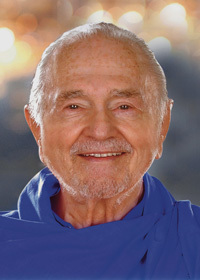 Swami Kriyananda (born as an American, J. Donald Walters) became a direct disciple of Yogananda in 1948. He dedicated the remaining 65 years of his life to spreading his guru’s teachings through books, music, lectures, and through founding spiritual communities, schools, and businesses. Ananda, begun in 1969, has become a worldwide spiritual movement, with residential communities in the US, Europe, and India, and many smaller centers around the globe.